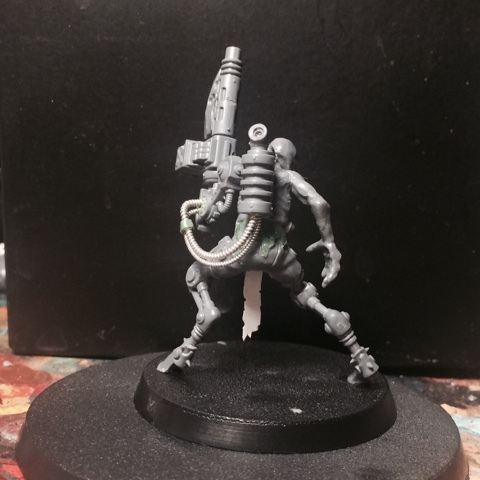 I gotta say I'm rather pleased with how the addition of the bayonet makes him echo the good ol´ chaos androids from Space Crusade. Chaos Androids, what a concept! For inspiration, you could always look at the spindly Synths from Fallout 4, they're just a bit creepy looking. Where's the head from anyway? Yeah - they always felt a bit random. 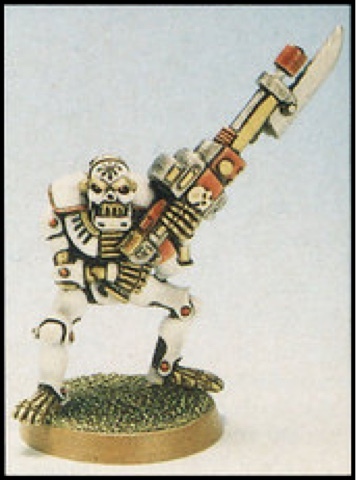 Years later they sort of evolved into the Necrons. The head is a trophy hanging off the armour of one of the blightkings. Creepy. 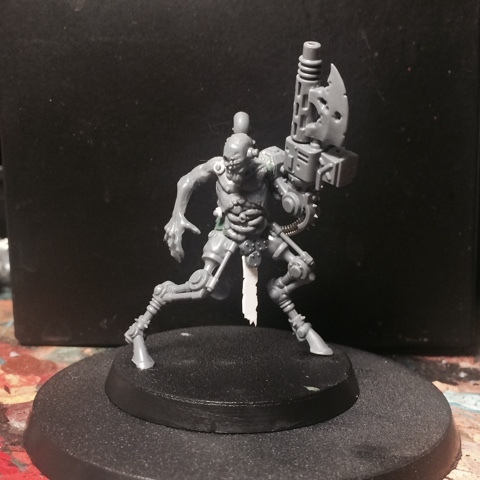 Looks like he would be fast, which is not something you usually think about with nurgle. If you want to make it even more nurgly, you could make the "hoof" split, and add in some wood grain. You could move the gun blade up a bit, and then have a wooden foregrip where it is currently. I haven't used wood that much in the rest of the nurgly gang actually - it's more rusty metal and putrid flesh. Brilliant! I must say he already looked splendid when you showed him at an earlier stage.